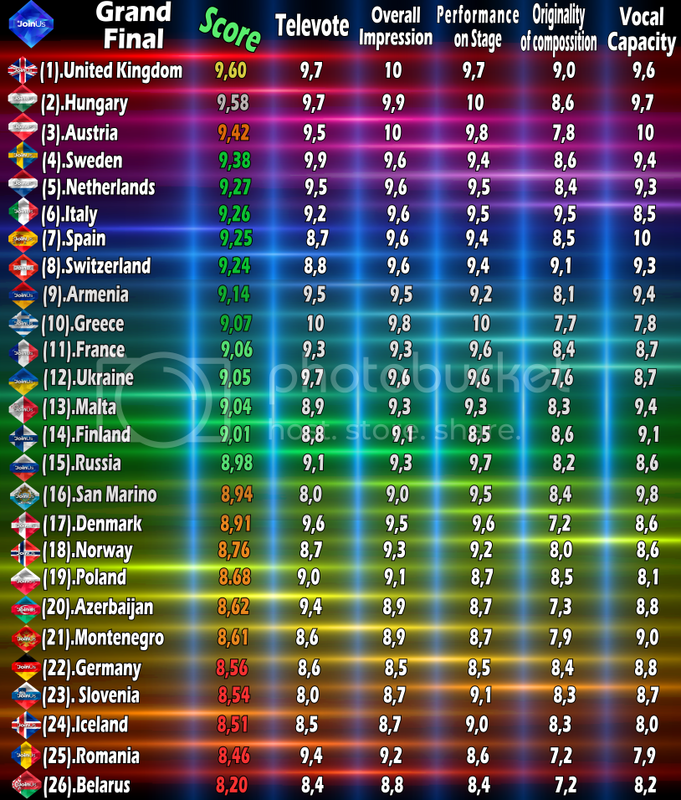 This is the special eurovision edition of the prediction poll. You can copy the questions and add your anwers in the thread as I think it might be interesting to see what people think. Thanks for all participants and good luck! 30. Malta: Azerbaijan - That's really the only one that I feel I can accurately predict. On a side note, the reintroduction of the juries, combined with the departure of Turkey and Serbia has actually made predicting the 12 points really quite difficult. How far we are from the dark days of pre-2009, when even the casual viewer could predict each every 8, 10 and 12 with ease. Isn't it just MARVELLOUS. adamacs RUTH DAVIDSON FOR PM. Code9189, James, Jonny and 1 other person like this. James and Jonny like this. Thanks for particiating and see you next year in AUSTRIA. MagicGianluk, Scheeples, DenDutch and 1 other person like this.